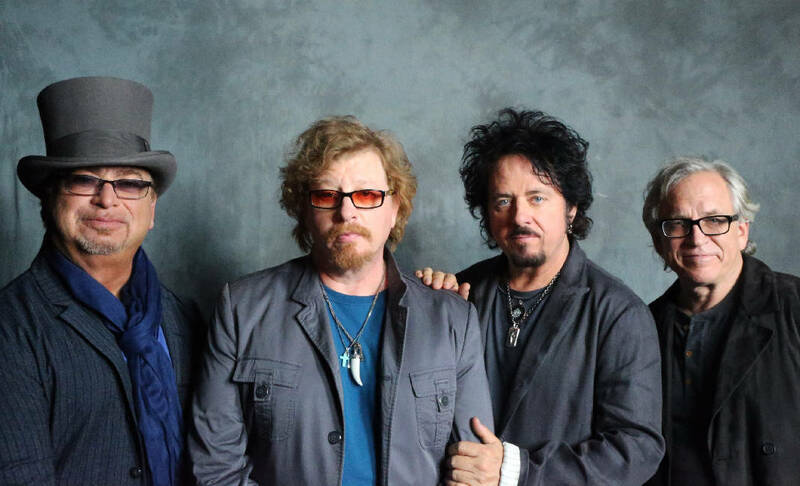 Toto, featuring David Paich, Joseph Williams, Steve Lukather and Steve Porcaro, will perform Sunday at 8 p.m. at The Tivoli. If there is a theme to keyboardist Steve Porcaro's career with Toto, it would likely be "One more." Actually, that might work for the band as a whole, as well. "Yeah, I guess so," he says. "One more just keeps rolling along." The band is celebrating its 40th anniversary and will be in Chattanooga at the Tivoli on Sunday. Porcaro is celebrating his third stint with the group, which was co-founded in 1997 by his brother, Jeff, and David Paich, who were high school classmates. He left in 1987 to pursue a TV and film-scoring career. Jeff was the group's drummer before his death of a heart attack in 1992. Porcaro did a short stint with Toto in 1998 and rejoined the group almost seven years ago for what he thought would be a one-off tour. His bass-playing brother, Mike, retired from the group in 2007 after amyotrophic lateral sclerosis (ALS) robbed him of the ability to play well. It took his life in 2015; but in 2010, the band, which had been on hiatus since 2008 following Mike's retirement, wanted to honor and support him with some shows in Europe, and they asked Steve to participate. "Luke [Steve Lukather] asked if I would do one tour," Porcaro says. Seven years later, he's still traveling with the group and joined them in the studio in 2015 for the recording of "Toto XIV," their first in 10 years. Toto is one of the more unusual bands in rock history, with its members all having very successful careers as session players, in addition to success together. Individually, they've played on 5,000 albums that amassed a half billion in sales and earned a total of 225 Grammy nominations. Toto has sold 40 million albums and won six Grammy awards, including Album of the Year for "Toto IV" in 1983. That breakout album contains the hits "Rosanna," "Africa" and "I Won't Hold You Back." Porcaro says they are currently working on a new record. "It will have five tracks that Toto cut over the years but never finished. We have my brother, Jeff, on drums on some. They are tracks that we just never finished the lyrics or other songs got done first. Then we have stuff that all four of us have written." He says there is a lot of energy in the band these days. "We're having a ball. Everyone appreciates each other for what we do." He says with four guys who all have solo careers and other projects, things seem to happen naturally in the studio when they come together. Most of the time. "A lot of it is a mystery how it comes together," he says. "Hanging with the guys can be tough, though. They'll let you know how they feel. If maybe you get a little indulgent, they'll say 'Save it for your solo album.'" This last line is followed by a big laugh. "You have to have a thick skin. It still gets touchy, but we are having a great time."